Technology analysts do not have innovation in the new three models of iPhone this year. Its design is like the iPhone X in the market last year. However, due to different features, the price difference came. An NDTV report says that iPhone Xs and XS Max have the OLD display but the iPhone XR will have LCD display. Apple has used a 6-inch-to-edge Edge-to-edge LCD display on the X-ray phone. Apple's new A12 bionic chip came in three models of iPhones. The new LCD display has been named Liquid Retina Display. The 12 bionic chips will have the latest seven-nanometer architecture. There will be faide, True Depth Cameras. 64 GB, 128 GB, and 256 GB storage versions can be found in the new iPhone XR. In the United States, the 64 GB iPhone XR is priced at $ 749. US $ 799 and $ 899 respectively to buy 128 GB and 256 GB of XR. 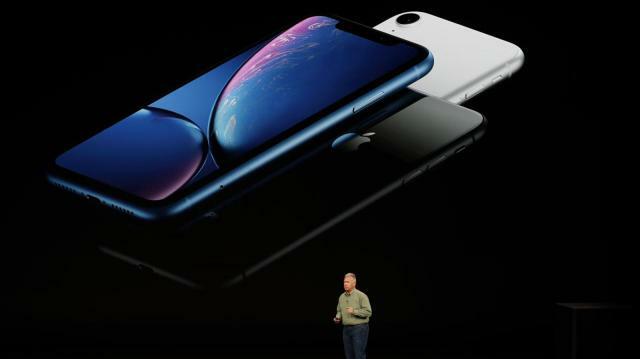 Apple will start taking the order of the iPhone XR from October 19. iPhones will start selling in 50 countries around the world on October 26th. The iPhone XR will be the iOS 12 operating system. Dual SIM stands by. This is excluded from the 3d touch. Apple says that their new six-core 12 bionic chips made up 15 percent faster than before. This is the most powerful mobile processor at the moment. The display sizes of iPhone X and X Max Max devices are 5, 8 and 6.5 inches respectively. It has 458 ppi and LED HDR display. iPhone XS and XS Max Max have stainless steel body but iPhone XR will have aluminum body. XS and XS Max will have single-real camera systems. This camera will have a 12-megapixel primary sensor. There will be a True Depth front camera in front of the phone. There will be multiple faces unlock sensors with it. Black Nach will be on top of three new iPhone displays. Under the chrome, there will be front cameras and multiple sensors. Apple has said that the new iPhone will run on the iOS 12 operating system. Just like the iPhone X of 2017, there is the OLED Super Retina display in the 5 x 8 inch Xs model. There is also a six and a half-inch OLED display for Max. About the new iPhone, Apple's marketing department's senior vice-president, Phil Rocker, said the battery life will be higher in the iPhone XS and XS Max. There will be more than one to one and a half hours of charge compared to the iPhone X. It's the IP-68 rating. That is, it is dust and water. Apple chief executive Tim Cook claims that the iPhone is the world's number one smartphone. Its client satisfaction rate is 98 percent. iPhone Xs and Xs Max iPhone are the most advanced phones ever made by Apple.